Overwatch has a colorful cast of characters, screen-filling special moves, and a hero named after his own punching arm, but it is not, in fact, a fighting game. Still, it’s fun to dream. This video by TGN imagines what Overwatch would look like as a combo-based, knock-down, drag-out fighting game. The verdict? Surprisingly good, as it turns out. 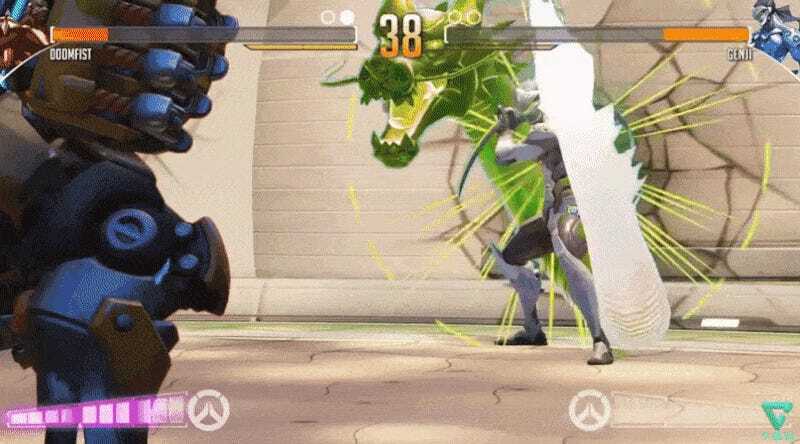 The video’s creators say it “a lot of time to make,” which makes sense, given that they’ve managed to edit in-game Overwatch footage into a seriously convincing recreation of a fighting game. There’s even a vehicle-punching bonus stage! Personally, I like the part where Doomfist punches Genji into space. It gives rise to what I’m sure will become a question for the ages: If somebody spams “I need healing” over and over and nobody’s around to hear them because they’re trapped in the eternal vacuum of space like they so richly deserve to be, do they make a sound?